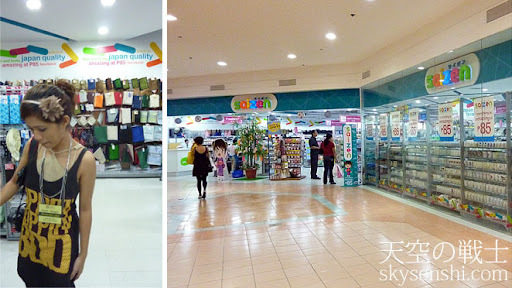 After the very filling meal, Jeffrey Siy briefed us about what we were to do: basically go through the various participating stores inside Robinson’s Galleria and blog about our finds. We all were given gift certificates to Toys R Us so we went there first. I have to admit, I was pretty much excited about the prospect of getting something from this shop because…well, if it still isn’t obvious, my hobbies are always game-related. 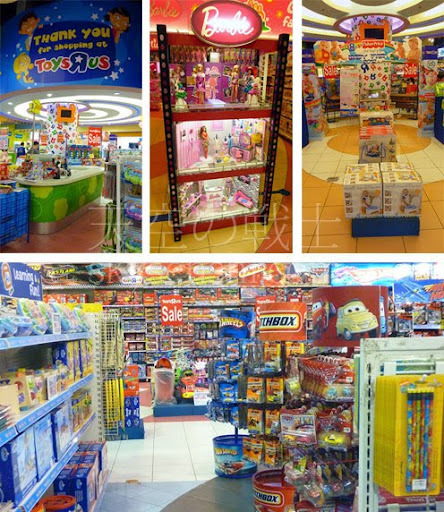 Most of the stuff in Toys R Us are on 50% discount. I think that was why I couldn’t find the Sony PSP and Nintendo DS games that I wanted — a lot of game shoppers have gotten to them first. Anway, I went on over to the girls’ section because I had always been fascinated by Barbie. When I was a little girl, I would tell myself that if I remained single forever, I’d collect Barbie dolls and build Barbie City. After a while, I decided to walk through every aisle until I could find something that my family — and especially my fourth grader brother Tim — would enjoy. Will talk about that in part 3. Next, my sister Alex and I pranced on over to What A Girl Wants. This place is a wonderland! Their items are pretty good and very inexpensive, too. In fact, even if they don’t participate on the Clearance Sale, they’d still prove to be good value for your money. 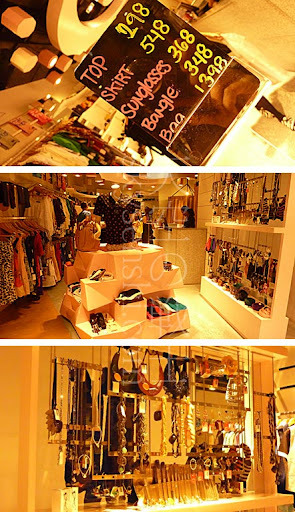 They have clothes, accessories, shoes, bags, even make-up brushes! The pretty little trinkets here are sure to delight many kikays out there. I had misunderstood the rules a bit here, thinking that the Robinson’s GCs provided were usable in the participating stores. But that’s all right since I was willing to pay for my find, even without the 10% discount. It was that sulit! I was also happy to know that the store keeper and the boss seem to hail from Cebu. When the store keeper was talking to her boss via her cellphone (to clear up my mistake, hehe), my ears perked up upon hearing that she was speaking in Cebuano. My dad is Cebuano so my sister and I are always thrilled to hear someone talk in the language. Even if the situation was mildly embarrassing. Haha! Next, we went to Maldita and For Me. I usually like Maldita’s offerings. For Me also had really promising items on sale. My only problem was that I couldn’t decide what to purchase. Everything looked too good! Though I’m not really much of a shopper (I think I mentioned before that I shop like a dude), I realized that shopping for that special find is somewhat similar to buying an artwork: pick it up if it talks to you. We saved Saizen for last. Whenever I walk into this shop, I’d always feel like a kid in a candy store. I’d always be a mixture of happiness and confusion. Saizen’s colors are as cute as the items they carry. Best of all, everything costs only P85! As my sister puts it, Saizen has thingamabobs that you never thought you’d need until you’ve beheld them. I was tempted to grab hold of all the pastel baskets, signages and portable ashtrays until I reminded myself that I already have too many baskets and that I don’t smoke. But I sure couldn’t get enough of those chopsticks. I also make sure I stocked up on a lot of toiletries and bath products. I had a great time, all in all. Who would’ve thought that I’d actually enjoy a blogger event this much? I also learned a valuable lesson: Shopping is difficult. I had always wondered why my cousins — and many girls, in general — take too much time on shopping decisions. I usually go into a store knowing what I already want (like a dude, remember?). When a girl goes shopping just because, weighing her options apparently take a lot into consideration: price versus durability, comfort versus style, need versus want, etc. When presented with a wide range of selections, she must then keep her wits about her. Anyway, that has been a highly interesting activity. I’ve found my picks and will be posting about them in a little while. Robinsons Malls All-Out Clearance Sale will continue till the end of August so I suggest y’all haul yourselves over there before everyone else beats you to the good stuff. 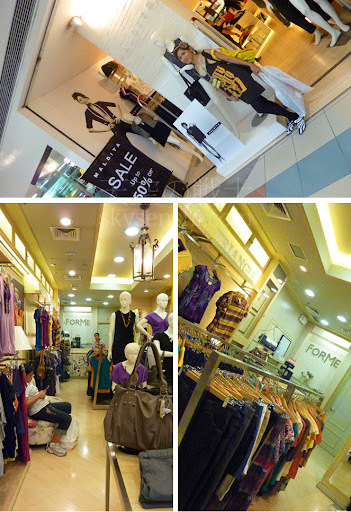 You can get more details about the sale (plus news and updates) in their Robinson’s Malls Facebook Fan Page. i love those “everything P88/P85/P55” japanese stores. and your sister is right, you find so many things there that you never thought you'd need (or want) til you actually see them. only in these kinds of stores can you find the oddly creative, sometimes ingenious or simply most foolish of finds. i shop like a dude too. but even if i come into a store knowing what i want, the girl in me still thinks long and hard before finally paying for that item. my shopping style is i see something i like, go around for a bit, maybe even change malls or take a day to think about it, come back to the store and if it is still there, then it is meant to be mine. and if we are talking about pants or jeans, i take the advice of queer eye's fashion guy Carson Kressley – if you find a pair of pants that fit you perfectly, buy more than one pair. it's good to have two especially if it looks good on you.